Lighting design is one of the architecture industry's most subtle elements. Great lighting design can radically change the way we feel in a space. Yet when it is done well, it completely disappears. 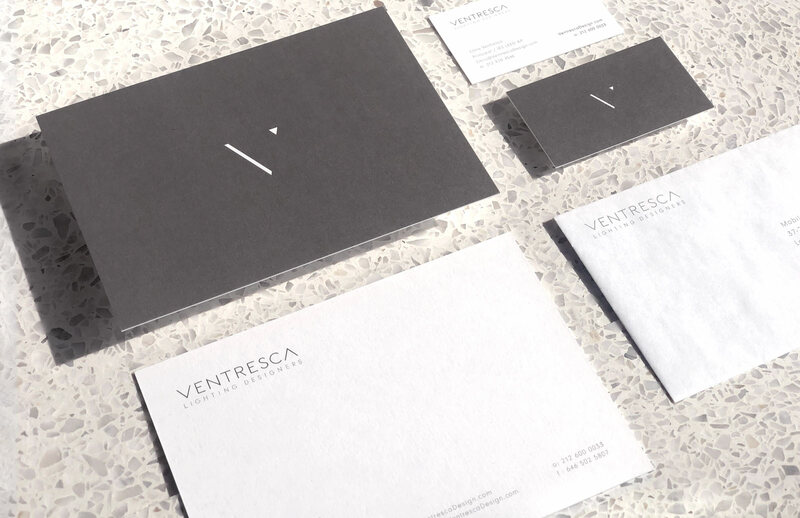 It was with this thought in mind that we approached our brand design for Ventresca Lighting Designers. We sought to create a consistent visual language that was soft, subtle and nearly invisible. The minimal typography is well balanced and delicate. The color palette is a sliding greyscale which allows the important information to pop while the secondary elements fade away. When this aesthetic is applied throughout the brand's print collateral, website and signage it reinforces the teams meticulous attention to detail and emphasizes their passion for the spaces they help create throughout NYC.